With approximately 1,700 alcohol-related crashes in the state each year, Nebraska law enforcement and the legal system treat driving under the influence with the utmost seriousness. 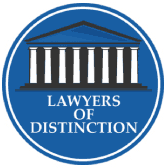 The State of Nebraska aggressively pursues and prosecutes DUI cases, which means if you face a DUI charge, you need a skilled criminal defense lawyer with impeccable knowledge of the legal system and how to navigate it. 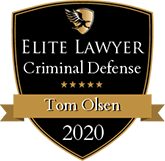 At Olsen Law Offices, P.C., L.L.O., Attorney Tom Olsen has successfully defended thousands of clients charged with DUI. Attorney Olsen is a Former Assistant State Attorney General and Assistant Omaha City Prosecutor with 30 years of trial experience. His adept negotiation skills can prove pivotal in your case as he fights to preserve your driving privileges and protect your future. First-time DUI: Class W misdemeanor, up to 60 days in jail with possible community service, $500 fine, license revocation for six months. Second DUI: Class W misdemeanor, up to six months in jail, $500 fine, license revocation for 18 months. Third DUI: Class W misdemeanor, up to one year in jail, $1,000 fine, license revocation for 15 years. Fourth DUI: Class IIIA felony, up to three years in jail, $10,000 fine, license revocation for 15 years. Fifth DUI: Class IIA felony, up to 20 years in prison, $25,000 fine, license revocation for 15 years. In Nebraska, DUI suspects face both DMV and criminal court penalties. After an arrest, your physical driver's license is taken away and you receive a temporary 15-day license, then the DMV revocation takes effect. Nebraska DUI laws state some individuals charged with their first or second DUI may apply for an ignition interlock permit if they waive their right to an Administrative License Revocation (ALR) hearing through the DMV. This permit allows a person to drive as needed with the installation of an in-vehicle breathalyzer that the driver must pass for the automobile to start. The driver is also required to pass periodic tests while the vehicle is in operation. 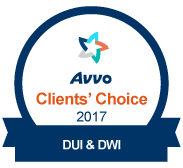 This option is available for those charged with misdemeanor or felony DUI. 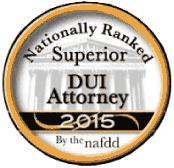 Any DUI allegation requires skilled legal representation from an accomplished DUI attorney. Along with knowing what to do if you are stopped for DUI, Attorney Tom Olsen knows how to secure the best possible outcome in your case. This could include dismissed charges if police violated your rights or incorrectly administered field sobriety tests or BAC testing. Regardless of the charge, he will work tirelessly to attain a favorable resolution. 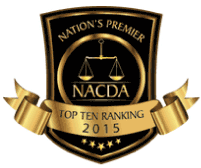 Entrust Olsen Law Offices, P.C., L.L.O. and Attorney Tom Olsen to handle your case. Contact a 24/7 Lancaster County criminal defense lawyer at 402-598-5789. We also serve clients in Lincoln County, North Platte, Dawson County, Lexington, Buffalo County, Kearney, Hall County, Grand Island, Hamilton County, Aurora, York County, York, Seward, Sarpy County, and Papillion.